In 1895, a festival was mounted in Meiningen, the tiny Thuringian dukedom with a cultural influence way beyond its size, devoted to the music of the ‘Three Great Bs’ – Bach, Beethoven and Brahms. It was perhaps the ultimate recognition of the coincidence of initial letters that brought three of the undisputed giants of classical music together. The German composer Peter Cornelius had earlier coined a ‘three Bs’ comprising Bach, Beethoven and Berlioz, but by the 1880s, the Frenchman had been deposed in favour of Brahms, whose great conductor friend Hans von Bülow designated them the ‘Holy Trinity’ of music: ‘I believe in Bach, the Father, Beethoven, the Son, and Brahms, the Holy Ghost of music,’ he wrote. More by chance than by design, those same three composers feature in the first volumes of my Masterpieces of Music series of eBooks – perhaps inevitable when tackling the ‘greats’ first. (Anyone who has ever shelved a record or CD collection alphabetically will be familiar with the undeniable fact that Bs and Ss dominate among classical composers’ names – or maybe it’s just my taste in music.) But Bach, Beethoven and Brahms share more than just a capital letter – there’s a line of influence from the earliest to the latest, and not purely in the sense that Brahms was influenced by Beethoven, who was influenced by Bach. Until Mendelssohn came along and returned it to the public consciousness in the 1830s and 40s, Bach’s music – apart from his major keyboard works – had lain almost forgotten since the composer’s death in 1750. Even Johann Sebastian’s masterpiece, the Mass in B minor, had to wait until as late as the 1860s for its first complete performance, despite his son Carl Philipp Emanuel’s best efforts 80 years earlier. The late 18th century was a time when old music was shunned in favour of the new (how times change...). And in many senses, Bach’s music was ‘old’ even as it was being written, since his doggedly Baroque inspirations overlapped with the dawn of a new age of galant Classicism (it’s pertinent to remember that Haydn was already 18 by the time of Bach’s death, and would be writing his first symphonies and string quartets within a decade). As a result, it soon fell out of fashion in concert halls and churches and very little of it appeared in print in the 18th century. Bach’s music, instead, had something of a connoisseur’s following among musicians, if not their audiences. The evening gatherings at Swieten’s home had a marked effect on Beethoven, for it was here that he first became acquainted with the music of Handel and Bach. He generally had to stay long after the other guests had departed, for his elderly host was musically insatiable and would not let the young pianist go until he had ‘blessed the evening’ with several Bach fugues. Schindler was obviously unaware of Neefe’s earlier input, but it’s fair to surmise that Beethoven’s early years were saturated in the music of Bach, which leads us to consider the effect it had on his own compositional development. Scholars have explored how the exposure to Bach’s ‘48’ coloured the younger composer’s attitude to key, but it is perhaps his use of counterpoint that reveals the most. Contrapuntal episodes feature in music from his earliest days, such as short passages of fughetta and imitation in the ‘Eroica’Symphony, but strangely, the most concerted use of fugue as a formal and developmental tool came in his last years. Most obviously, there’s the Grosse Fuge, the ‘Great Fugue’ originally designed as a finale to his B flat major String Quartet op.130, but which was replaced there by a more Haydnesque rondo. More than one commentator has talked of this single, extended movement as Beethoven’s ‘Art of Fugue’. There are also several instances in the late piano sonatas of full-blown fugues, including the finales of the ‘Hammerklavier’ and of the penultimate, A flat major Sonata op.110. There’s perhaps something in seeing the poor composer, shut off from the world by his loss of hearing, engaging in a musical challenge that is as much intellectual as sonic, as much a work of the mind as of the heart. By the time Brahms emerged on the scene as a composer in the 1850s, Beethoven had already been immortalised as a musical god and Bach was beginning to be rehabilitated. These two figures were to loom over much of Brahms’s musical thinking and with Beethoven it was with almost a sense of fear as admiration. Most famously, the example of Ludwig hovering over his shoulder made writing his first symphony a fraught, drawn-out affair – ‘You don’t know what it is like,’ he wrote to the conductor Hermann Levi, ‘always to hear that giant marching along behind me.’ And when the symphony finally emerged in 1876 the broad, ‘Ode to Joy’-inspired theme of its finale led to the work being dubbed ‘Beethoven’s Tenth’. But it wasn’t just symphonies: Brahms claimed to have destroyed 20 string quartets before he wrote one that he felt worthy of following on from his predecessor’s monumental oeuvre; and much the same could be said of his writing of piano sonatas, though these emerged much earlier in his career – his C major Sonata op.1 has unmistakable lineage to the ‘Hammerklavier’ (Brahms later owned the composer’s own notebooks for this monumental work). Brahms certainly learned much of his developmental technique from Beethoven, and the benefit of using of elemental material such as scales and arpeggios to shape his themes – archetypes that mark out the imposing first movement of the First Piano Concerto, for instance. The influence of Bach was just as formidable. Like Beethoven, Brahms played Bach’s keyboard works from an early age, and slipped short pieces into his recitals at a time when they were still little known beyond the cognoscenti. 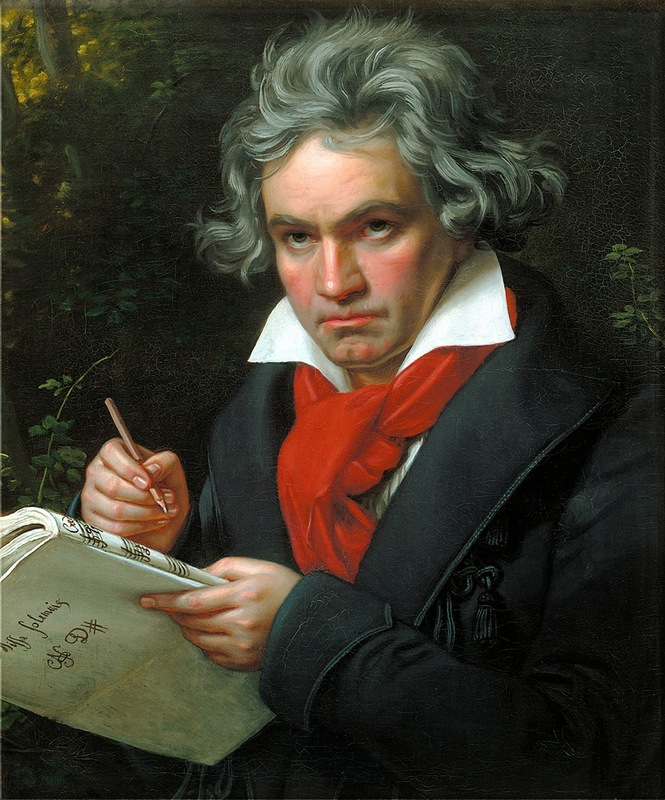 If he drew his motivic thinking from Beethoven, he gained contrapuntal command from studying the Leipzig master. Through all this runs the idea that no one who followed Bach could write a fugue except under his influence – it’s a form so bound up with his legacy that it’s difficult to imagine from whom else composers might ultimately have learned the skill. As early as Brahms’s First Piano Concerto, then, there’s obvious Bachian homage in the semiquaver running motion that underpins the main themes of the rondo finale, and in its use of a fugal exposition. Among his solo piano works are Baroque dance forms, preludes and fugues, for organ a collection of chorale preludes and for chorus various canons and motets – all indicative of an obsession with the legacy of Bach. 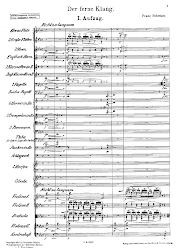 Perhaps the most famous instance of this, though, is the passacaglia finale of the Fourth Symphony, which adapts the bass line from a chaconne in one of Bach’s cantatas, no.150 Nach Dir, Herr, verlanget mich, as the basis for a set of variations – a masterpiece in which all of the ‘three Bs’ seem to coexist. For a special bundle offer on Masterpieces of Music eBooks – three titles for the price of two – visit the Erudition website. Fun to read, loved this post. I had never understood or thought of Bach and Beethoven as so closely related. Linking history and people using timelines and dates gives a provocative context that is so helpful to understanding. ... so thanks. Thanks, Susan! I was surprised myself how many interconnections there were when I delved more deeply. Not sure my next composer - Debussy (or should I rename him Bedussy?) - will yield as much!